Live WithOut Fear (LWOF) is a clan which has existed for a couple of years now, since 2013. We've been relatively in-active these past few months but are currently trying to become more "active". With that said, we are actively seeking out recruits who are interested in joining our ranks and increasing our presence in AA:PG (America's Army: Proving Grounds). Stylish Sage (SS) - You are extremely familiar with all maps and modes, and know a variety of tactics. You are capable of reacting swiftly to any situation that you may face, and often plan ahead and try to "predict" the enemy's movements. You have a sense of what to do and when to do it , given the current situation at hand. Sage (S) - Similar to SS only these traits are less in degree. Intermediate (B) - You have an overall understanding of each objective/game mode, and can generate an idea of where an enemy might travel given the current map/situation. You know basic tactics but you may struggle in situations where things don't go as planned. Casual Player [C] - You play the game occasionally and/or don't think much about what you do, nor do you try to anticipate how the enemy might act or react. You know little techniques, if any. Keep in mind that these skill-ratings are not specific to this or any other game. For the most part, these ratings can be applied to just about any game out there that requires thinking. LWOF isn't just focused on AA:PG, however I wouldn't mind having a branch of LWOF that is. In LWOF we understand that our members have lives of their own, and that they may not always be able to participate in clan activities due to stuff they have going on in real life. Because of this belief -- we have a very lenient inactivity policy. If you go 14 days without partaking in any clan activities you are considered "inactive". After 30 days, you are no longer considered to be officially part of the clan. This doesn't mean you're kicked out, just means I won't mention your name on rosters. Recruits (persons who've been in the clan for less than 30 days) have a more strict policy of 7 days inactivity , which results in immediate dismissal in most cases. All members get first priority in parties and lobbies hosted by fellow LWOF members -- unless a CB, scrim, or tournament is taking place. This means if a party your hosting is full, but has a few non LWOF in it -- you must kick them out to make room. The Clan qualification exam is a test administered to potential recruits by official LWOF Team Representatives with a skill rating of SS. It is a test which not only determines one's eligibility into the clan but also their individual skill rating. The current CQE consists of two parts: Acceptance phase and Skill-Evaluation phase. 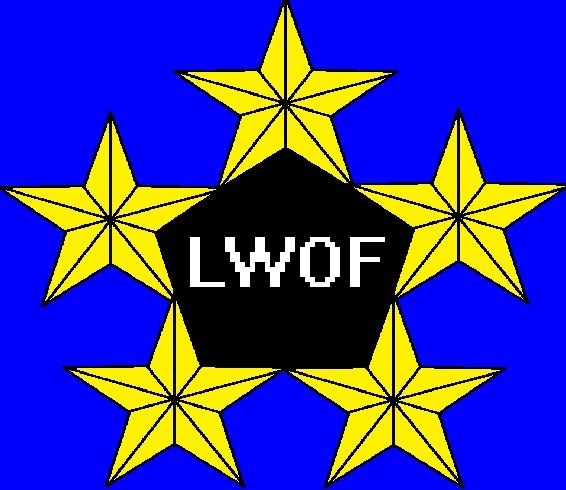 The acceptance phase consists of a few public matches where one's performance is observed and then a "yes" or "no" decision after discussion among fellow LWOF members. The Skill-Evaluation phase can last several days as members evaluate your consistency regarding your performance. In order to be accepted you must meet the criteria for a C rank. After that: Your skill rating will reflect your overall ability in public matches and in scrims. Poor performance in CBs, and Tournaments can severely lower your Skill Rating, while high performance can do the opposite. NOTE: THIS IS A PS4 CLAN. History: We've been on the PS3 playing Uncharted 3 for years, but as time progressed we've had a passion to explore new "frontiers" and expand. We're still looking for recruits!!! No mics required! How many spots do you have available for C and D rankings? There are limitless spots available for C rank and above (rarely are D rank and below accepted) but during competitive events we prioritize by rating then seniority. This means if there are 5 SS ranks and 5 C ranks but only 6 spots available, The 5 SS ranked players and the Senior (or oldest) C rank player will be in the team. We may make exceptions to this rule: particularly if higher ranked players are unavailable/offline, or if we want to give newer members a chance to compete.